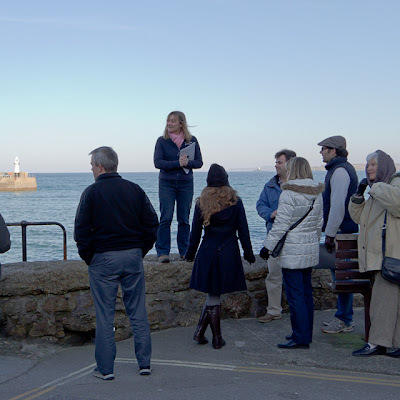 Guided Tours Of St Ives - which have been running for the last couple of years - have a new schedule for their three weekly tours. These now run every Monday, Wednesday and Thursday - from March to November. Also led by a new local guide - Dawn - who has updated the content and format. As before they all start at 11.00 am and depart from outside St Ives Guildhall. Cost is £5.00 per person - no need to book just turn up ten minutes before the start and pay when you arrive. 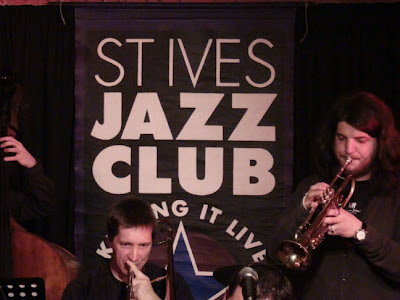 Monday - Welcome to St Ives. Wednesday - The Story Of St Ives. St Ives has a fascinating history – from its roots as a remote fishing and mining village, to its position in the mid twentieth century as a world-renowned centre of modernist art, and now as a well-loved holiday destination. This tour will guide you through all these facets of the town’s history, providing insights into the lives of people in the town throughout the centuries. Thursday - Art In St Ives. 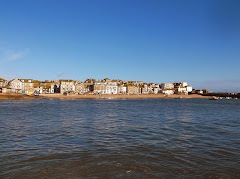 St Ives has long been famous for the quality of its light and its stunning scenery. Artists have been drawn here since the early 19th century and are still in the town living, visiting and working. We are lucky to have many high quality galleries including the world famous Tate St Ives, Hepworth Museum and Leach Pottery. During this tour you will gain an insight into the lives of the artists who came to this small remote fishing village during the twentieth century, and established its reputation as one of the world’s foremost centres for modernist art. Dawn can also provide private tours - for groups, couples or individuals - tailored to your requirements. This year’s St Ives Community Play is The Merry Wives of Windsor. 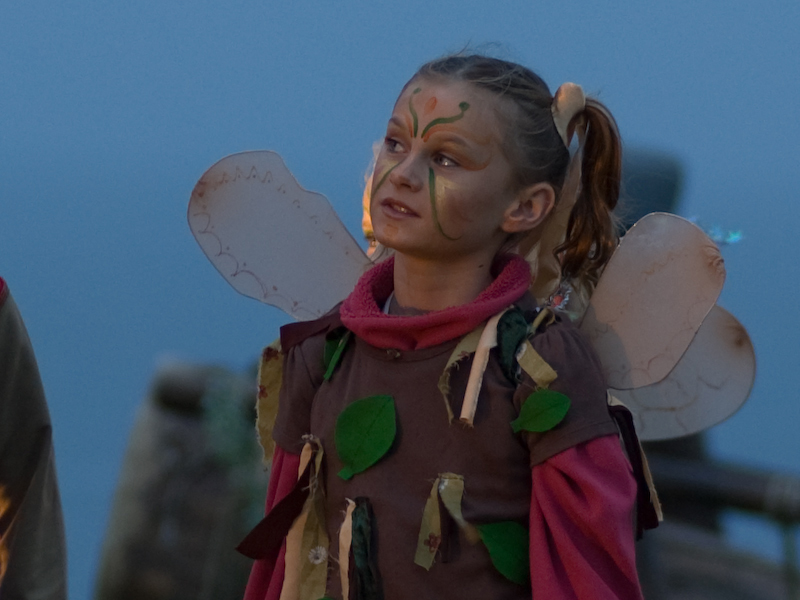 Rough Coast Community Arts is producing the play and they are looking for fairies and little devils for the closing scene. In preparation, they’ll be hosting a ‘Make and Create’ afternoon and inviting children aged 5 to 11 to participate on Sunday 6th May, from 2.00 pm to 3.30 pm. The afternoon will be run by artists from the local area. Children will leave with an item of costume that they create in the workshop – a scary little devil mask or a pair of fairy wings. Local children’s author Liz Kessler will also be at the workshop to present a child friendly version of the story she has written, leaving out Shakespeare’s bawdy bits! Attending the workshop doesn’t mean that children have to be in the play, but the Rough Coast team hope they will want to get involved and make good use of their costumes! So if parents have any little devils or fairies in their household who’d like to join in please contact Rough Coast on 07861 718 652. Or just turn up to the Make and Create session at the Island Centre. Rough Coast is asking for a £2.00 donation per child just to cover the cost of materials. 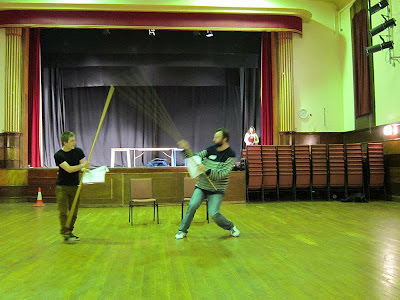 St Ives Community Play are currently in rehearsal for their production of The Merry Wives Of Windsor. 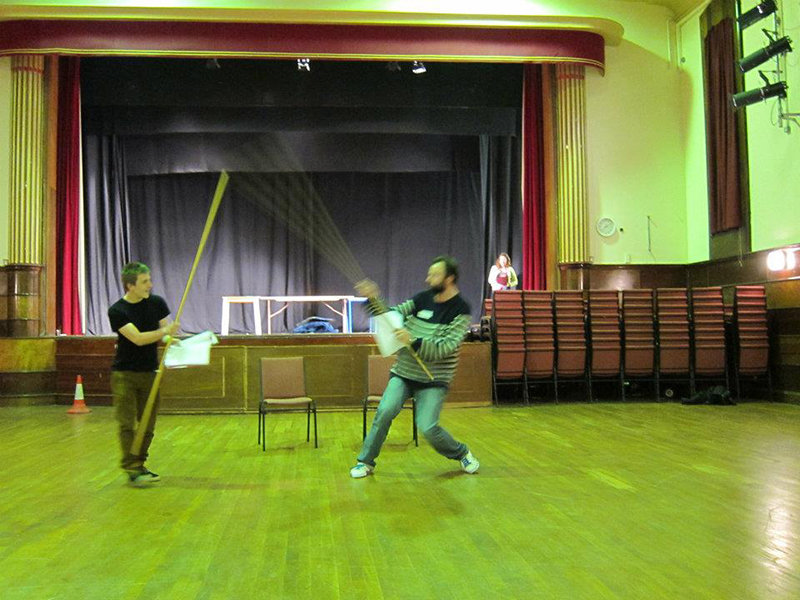 Their production team are also working on costume and set design - and the theme is Elizabethan Punk! Ball gowns - particularly pink, purples, orangey browns. Velvets, brocades, taffeta, silky fabric, lace, cotton. These can be old curtains, sheets, upholstery fabric, anything in tones of pinks, purples, blues, oranges, reds, browns, gold & greys. Necklaces, chains, beads, large ear-rings etc. There is lots going on for kids and young people over the next couple of weeks. Today - Family Skate - 3.00 pm. Today - Under 18s - 5.30 pm. Thursday 12th - Family Skate - 2.30 pm. Friday 13th - Under 18s - 5.30 pm. Wednesday 4th - 10.30 am and 2.00 pm. Tuesday 10th - 10.30 am and 2.00 pm. Wednesday 11th - 10.30 am and 2.00 pm. Wednesday 4th - 2.00 pm. Juggling Club - at The Island Centre. Wednesday 4th - 7.00 pm. Wednesday 11th - 7.00 pm. Kidz R Us - Seussical The Musical - at St Ives Theatre. Wednesday 4th - 7.30 pm. Thursday 5th - 7.30 pm. Friday 6th - 7.30 pm. Wednesday 11th - 7.30 pm. Thursday 12th - 7.30 pm. Friday 13th - 7.30 pm. Kids Activities - at St Ives Library. Bounce and Rhyme for Toddlers - Thursday 5th - 10.30 am. 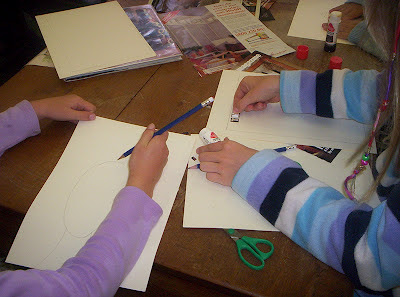 Story Time and Crafts - Monday 9th - 3,30 pm. Workshop - Magic Key Rings - Tuesday 10th - 11.00 am. Bounce and Rhyme for Toddlers - Thursday 12th - 10.30 am.